Released in May 2018 and short listed for the First book award by Aperture. 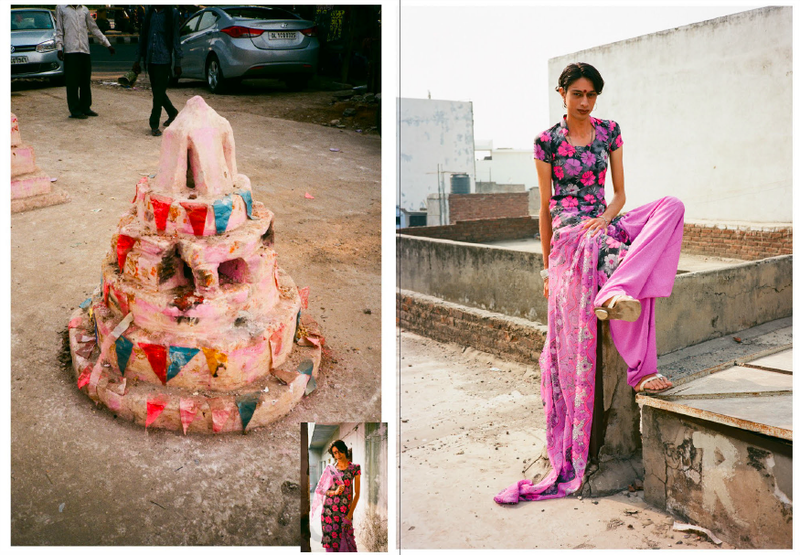 photographer of Indian heritage living in NYC. Published by Dashwood Books in 2018, the 432 page book features 846 photographs taken over a 10 year period throughout India. Khichdi (Kitchari) is a book about India’s rapidly changing identity, focusing on gender, technology, and the balance of traditional Indian and western culture. The work is intentionally conscious of photography as a shared experience, and Sethi incorporates his own interests and history, as well as himself, both as a photographer and participant throughout the work. His intimate and complex images push the boundaries of where art, photography, and daily life intersect. At the core, Sethi’s work deals with ideas of perception, challenging the intended meanings of images, symbols, materials, and even relationships. Inspired by India’s ubiquitous decoration and hyper-color, as well as the serendipitous nature of his encounters, Sethi’s inquisitive approach encourages himself, his collaborators, as well as his audience to find and enjoy the beauty, humor, and absurdity in everyday life.